This microfiber applicator is a thinner version of the microfiber applicator pad. 5 in. x 3.5 in. x 0.75 in. 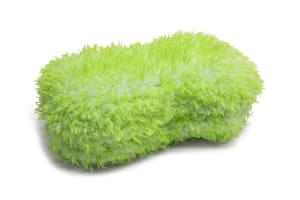 The lightweight microfiber cover material is soft with a low pile, and doesn't absorb too much product. 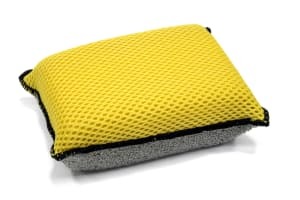 The inverted tucked seams help avoid unnecessary scratching when used as car wax applicator pads. Size: 5 in. x 3.5 in. x 0.75 in.